Set-ups are done in the morning before your event begins. We will call you the night before to confirm a delivery time. Pick-ups happen after the completion of your event. For free delivery info please see our Delivery Page. 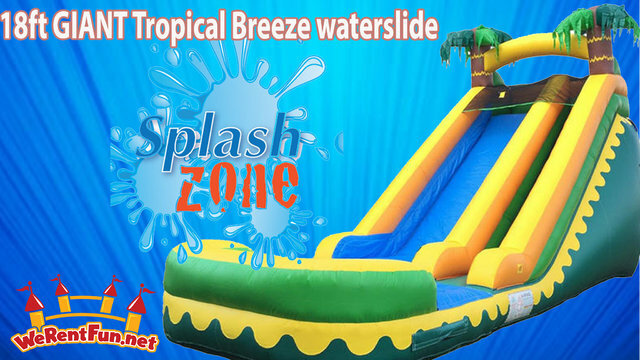 The GIANT Tropical Breeze waterslide is great for all ages and party types. Surprise your guests at weddings, fundraisers, birthdays, family reunions, etc. Journey atop the tropical destination and have a blast at your next event splashing into the giant pool of water. Pass a day away with this awesome inflatable slide that the whole family will love. 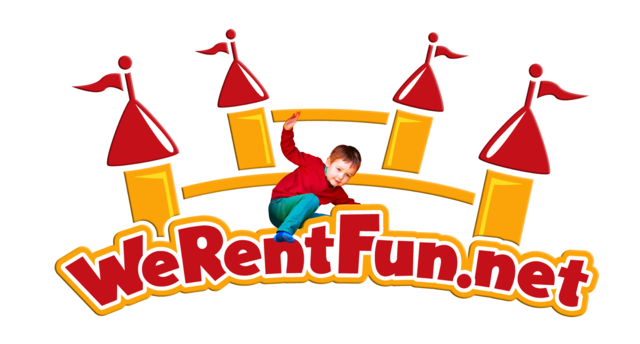 Rent a waterslide today in South Florida with We Rent Fun. Also available with a 26 foot Tropical Coconut Run Slip and Slide.